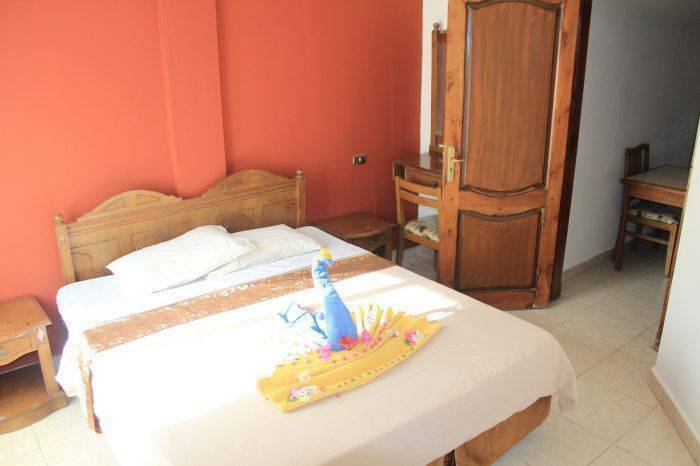 Comfortable one bedroom apartments in a lovely, quiet and peaceful resort. 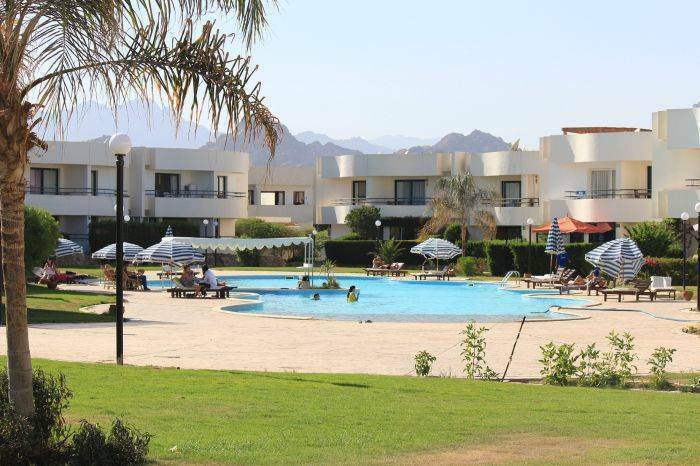 This is one of the best locations in Sharm El Sheikh - on walking distance from the city centre of Naama Bay, the new shopping Mall Genena city and only 5 minutes by taxi to Old Sharm. 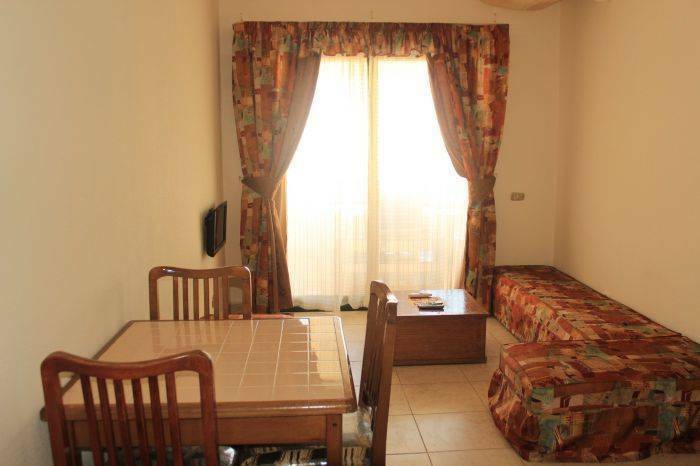 The apartments are offered fully furnished and air conditioned. They have a fully equipped kitchen. The resort has four swimming pools of different sizes, surrounded by beautiful and peaceful landscape. Spacious, clean, comfortable and stylish. Recently modernized and refurbished to higher standards. 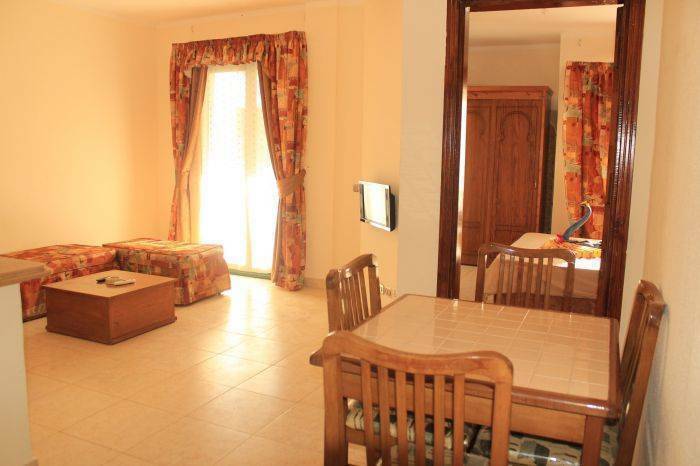 The apartments have one bedroom, a private bathroom, an open plan kitchen & living area. Studios also available! 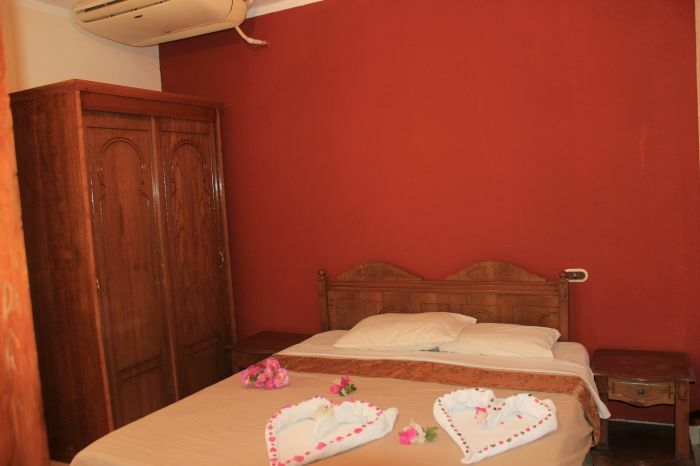 All rooms are fully airconditioned. 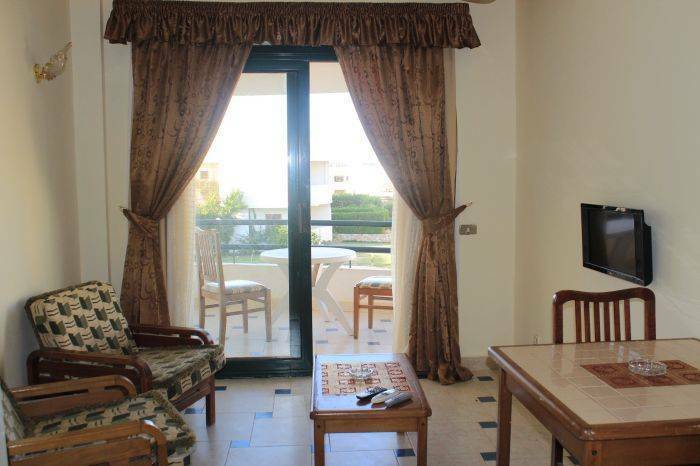 Each apartment has its own separate balcony, with table and chairs No extra costs for utilities! The Red Sea Riviera/Sinai region is one of the most beautiful places in the world and Egypt's number one holiday destination. Sharm El Sheikh lays on the Sinai Peninsula - where Africa meets Asia. The scenery is rich - the Sinai mountains behind, the Red Sea in front and national parks (Ras Mohamed and Nabq) on either side. Sharm El Sheikh is the place for holidaymakers of all kinds - those looking for fun and action, those looking for the best place in the world to dive and for those who simply want to relax and chill in the sun. Glass bottom boats - for those who want to explore the sea but do not like to get wet! Casinos - if you are feeling lucky! Watersports - every kind available here such as parasailing, banana boats, waterskiing, canoeing etc. etc. We can book all these excursions for you. We use reputable tour operators to ensure the best experience possible. Shisha cafes - endless amounts of these. Try the local shisha whilst lounging on cushions and watching the world go by! And take a fresh mango juice too - it's fabulous here! Shopping - Sharms largest malls are in Naama Bay and you buy everything from handbags to leather goods to tacky souvenirs! We also have Old Market which is only 5 minutes by taxi from our resort, for the fussiest shoppers. Just let us know what you want to do - we can arrange it all for you. We guarantee you won't be bored! To secure the reservation, a non-refundable 25% deposit is to be paid, the remaining 75% balance is to be paid cash upon arrival. Taxi operates outside of the resort on the main road. Local Minibus outside of the resort on the main road for as little as 1. 0 L. E.. Bus to Cairo, Alexandria and local towns.